Sea foam (meerschaum) is a mineral that is suits for the manufacture of pipes perfectly. Minerals that are suitable for the manufacture of pipes are mined in Turkey (Eskisehir, Anatolia). Sea foam has the same properties as briar: it is heat-resistant, poor heat-conducting, and most importantly – extremely hygroscopic. This material perfectly absorbs moisture and that is very important for a pipe. 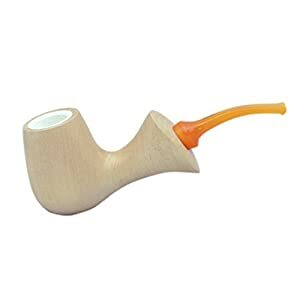 Aesthetically, new meerschaum smoking pipes are very beautiful. This mineral is white and after the surface has been sintered, it becomes smooth and polishable. 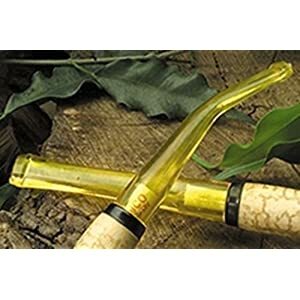 After several months of use, the meerschaum pipe changes its color to yellowish. A few years later – on a dark brown. This is because the products of burning tobacco are absorbed deep into the material of the bowl. This happens with Briar too – it darkens with time too, but not as much as meerschaum. 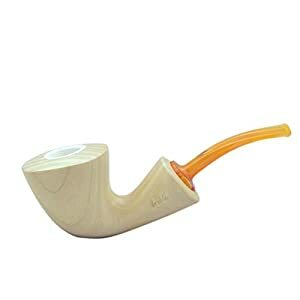 Why should you buy Meerschaum pipe? The mineral itself – sepiolite – is mined in several areas from Africa to the Crimea, but only Turkish foam is suitable for the manufacture of pipes. It is clean enough and can be found in pieces of sufficient size. Currently, the export of sepiolite from Turkey is prohibited. Meerschaum can be exported only in the form of finished products, including pipes. Therefore, the Turks have an absolute monopoly on the use of this wonderful material. 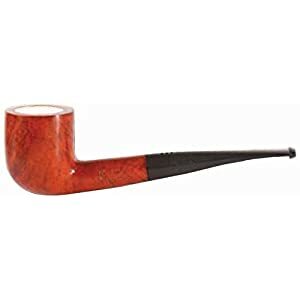 Therefore, it is worth trying a such a pipe. Any wood (even briar) adds something to the taste of tobacco. Foam is the same as a ceramic pipe and conveys the taste of tobacco as it is. Some tobaccos from tobacco cans are completely different. 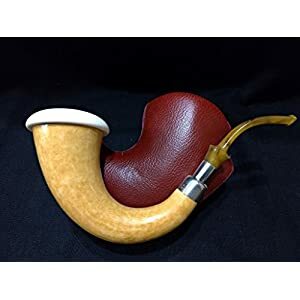 In the Internet you can find an opinion that you can fill up the seafoam pipe with tobacco and smoke it several times during the day. This is not true. A foam pipe needs exactly the same rest as the briar one. At least a day between the smoke it should lie down, rest, dry out. In fact, the only advantage over Briar is the lack of personal taste. But actually it can not be considered to be a disadvantage at all because it is very individual. Some pipe smokers would prefer smoking tobacco with a tinge of briar would, some smokers like a pure taste of tobacco. So, it depends. 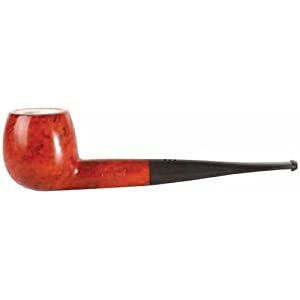 Not to mention the fact that two briar pipes can differ in taste more than one of them from a foam one. 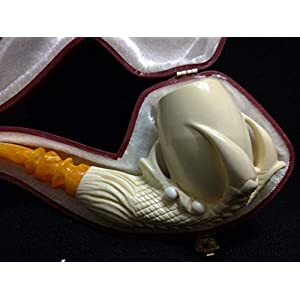 In our online store you can buy Meerschaum smoking pipe and decide for yourself whether you prefer classical wooden pipes or you likes beautiful and with pure taste ones. Everything is upon you. Buy now and products will be delivered in a few days to any corner of the USA.